Keep your college freshmen coming back for more. According to The Chronical of Higher Education, as many as one third of your freshman class is likely to disappear before their sophomore year. That’s a third too many at a time when enrollments are on the decline and costs are on the rise. Efforts to help with the transition to college and retain students have been going on since the 1970s. To make a real difference today, it takes a number of different approaches executed with a sense of urgency. “While institutions may have once relied on a single program to promote first-year success—a seminar, say, or an orientation—they’re now stitching together multiple solutions”, says Suzanne Walsh, deputy director for postsecondary success at the Bill & Melinda Gates Foundation, which is financing a project in which 44 regional state colleges are redesigning the first-year experience. In an effort to see things from the students’ perspectives, admissions officers are taking a close look at common concerns, which may prevent a student from returning. Often, it’s a combination of financial stress, unrealistic expectations, or falling behind due to not being prepared for college-level work. Many students need to work long hours to cover tuition. Others experience a family crisis or simply just don’t feel like they fit in. With the right integrated approach, you can offer the right blend of financial, educational and emotional support to help struggling students before they reach the point of no return. One approach is to replace traditional freshman orientations with a broader, more inclusive experience. You can still cover all the basics such as course registration, placement exams and meetings with academic advisers. The difference is you would also add in community-building, mental health, diversity and social justice. Many colleges offer sessions for family members as well. It’s an approach that takes a holistic view of who and what matters most to students. One that helps them stay connected and move forward with confidence and support. “In past decades, institutions had the luxury to take a ‘fail all you want, there will be more’ approach” to their students, says Drew Koch, president of the John N. Gardner Institute for Excellence in Undergraduate Education. Many colleges “measured prestige by the percentage of students they flunked out,” says Betsy O. Barefoot, a senior scholar there. Those days are long gone. With growing financial and political pressures, policy makers no longer tolerate high failure rates. And of course it’s more cost-effective to retain the students you have. Just in case you need another financial incentive, both colleges and students are able to keep the federal aid they receive if a student stays at least 60 percent of the term. Under the Republican plan to reauthorize the Higher Education Act, colleges would have to return all the money for students who withdrew in the first quarter of the term, and at least a portion of the money if they left at any time during the semester. It may sound like a simple solution, but creating a feeling of belonging and support makes students want to come back for more. 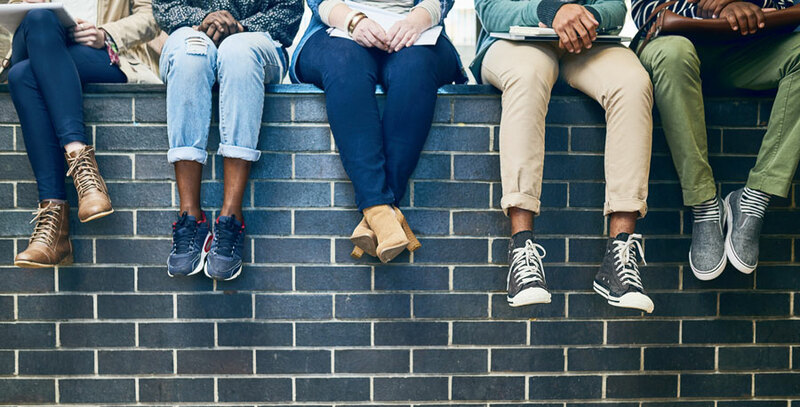 Often first-generation, minority students struggle to connect and have feelings of self-doubt. There’s no need to wait until they arrive on campus. The earlier you start the process of building community the better. A good example of this is at the University of Texas at Austin where an online pre-orientation session includes messages from current students about how they overcame doubts during their first year. The simple truth is students are less likely to fear failure when they feel like someone has their back. University of Rhode Island Assistant professor, Bryan Dewsbury, places a trash can at the front of his lecture hall on the first day of class and asks students shoot a basket from where they are seated. The point of the exercise is to show that students are all starting from different points and some will struggle more than others. Helping students see their own potential to overcome self-doubt helps to fuel their drive to continue. Typically, freshman “gateway courses” are high enrollment, lecture-heavy courses designed to weed out students who can’t keep up. The problem is that a majority of students who fail out are minorities and low-income students, who also happen to make up a growing share of the undergrad population. It doesn’t have to be this way. In fact, some schools have adjusted their gateway courses to allow struggling students to seek the materials and support they need. It’s a simple change in mindset that goes from weeding out the herd to working together to help everyone do better. Another approach is to supplement instruction for challenging courses with peer coaches. By leading regularly scheduled study sessions, students who previously excelled at the course can help struggling students review the material, discuss readings and learn study skills. Studies affirm that studentswho take advantage of this type of supplemental instruction are much less likely to fail or withdraw from high-risk courses than those who don’t. Their final grades are higher, too. What makes it great is also its greatest drawback in that it is completely voluntary. It makes sense that the more motivated students who use it also end up doing well and staying in school. Bringing peer coaches into the classroom is a good alternative for students who may be having trouble committing to sessions outside of regular classtime. Trying to predict student success isn’t new. Professors have been sharing students’ midterm grades with academic advisers for decades.More sophisticated early-alert systems technology has made tracking students much easier and more sophisticated. The result is an environment that is more proactive than reactive. Often called “student success coaches”, advisors now dig deeper to learn about coursework but also about the student’s social and emotional well-being. Meeting with students in coffee shops, libraries or student centers offers the flexibility and support students need to succeed. Heading straight to college after high school isn’t always the best plan. Whether students are feeling burned out or simply want a break, a gap year after high school offers time for personal growth that often leads to a more successful transition to college. Taking a year to travel and search inwardly helps students start fresh with a renewed sense of purpose and focus. Knowing this, many college admissions officers are allowing accepted students to defer their admission for up to one year. Others are offering service-oriented gap-year programs for incoming students—often with academic credit for service learning, internships, study abroad, and more.Based on the results, it has a positive impact on the entire student body and the campus culture, making it a win-win for everyone. Clearly, this isn’t a one-and-done solution. The key to first-year retention success is to support students from all sides. Start by rethinking freshman orientation, which begins before students even set foot on campus. From there, continue to be aware of the progress students are making academically and emotionally. Not all students are ready or willing to take advantage of the support you have to offer. All you can do is make support relevant, accessible, comprehensive and collaborative. When done successfully, the community you build will provide a safe and inspiring place to make their degrees, and futures, a reality.